Benefit Game Night for LKFS! 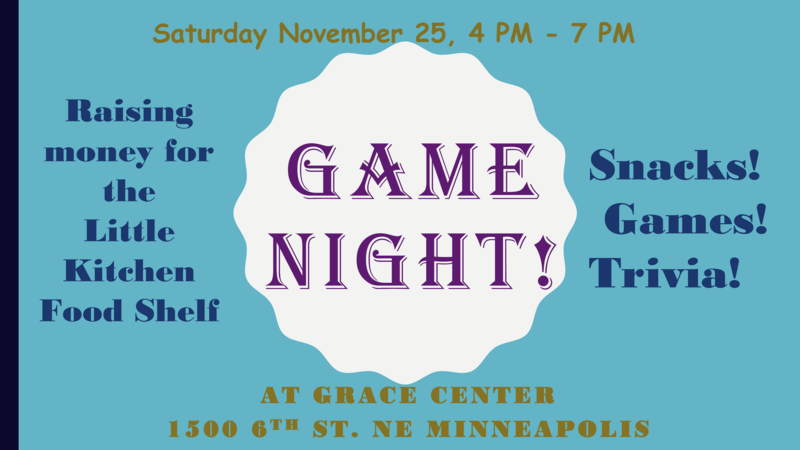 Join us for another all-ages game night to benefit the Little Kitchen Food Shelf! Suggested donation of $5. All proceeds benefit the Little Kitchen Food Shelf, serving up to 600 families a month all across the metro. You can give in person or online at gracenempls.org/donate. Feel free to bring games or snacks to share. All board and card games welcome! 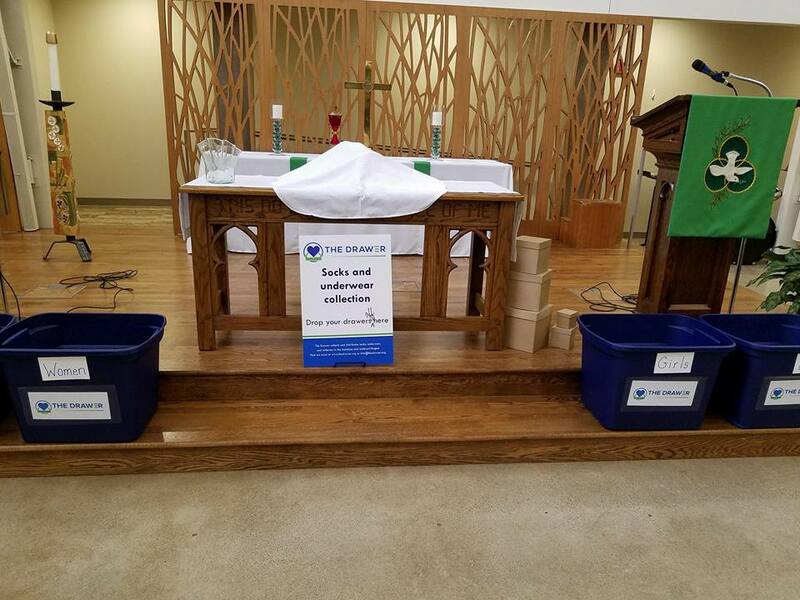 We have been invited by THE DRAWER ministry to join them in their collection of new socks and underwear for those in need by hosting an Undie Sunday! We are invited to bring NEW socks and underwear for men, women, and children who are in need this coming Sunday November 19. Leaders from THE DRAWER will join us after worship to collect and count our offering of socks and underwear, and to take them to community organization that can distribute them directly to those most in need. Joining with THE DRAWER in providing NEW items for those in deep need is a natural extension of the incredible work already being done in our food shelf. Please support this ministry by living into our call to clothe those in need, and bring a pack (or more!) of new socks or underwear to worship this Sunday! For the next two weeks (August 20 & 27), we will be adding to our regular offering with school supplies. The next time you’re at Target, pick up some kid-safe scissors, a box of markers, or an extra box of Ziplock bags. If you’ve been saving paper or pencils for “someday,” it might be today! Your generosity can change a child’s — or a whole classroom’s! — opportunity for success this year. If you’re worrying about how to afford the school supplies your child needs, please see Pastor Emmy for how we can help. As our own kids, teachers, and staff head back to school, we want them to know how supported and beloved they all are. On Sunday August 27, we invite all those headed back to school to bring in their bags of all shapes and sizes. We’ll bless your backpacks and briefcases — and you! — and add a keychain to your zipper to remind you that God (and Grace Lutheran!) is with you in both sorrows and joys this school year. The Golden Friends had a beautiful day for their Paddlewheel Boat Cruise on the St. Croix River! The group took a trip on Wednesday, October 14, 2015. They departed from Stillwater, MN around 11:30 AM and had lunch on the boat. Thanks to Jennifer Fischer for coordinating the event!